We are excited to announce the launch of our redesigned, refreshed and expanded regional websites. Rocelec.com now offers the same great experience across the globe; supporting China, Germany, Japan & Korea. Our goal is to create a full-service user-friendly online experience for our valued customers and business partners around the world. 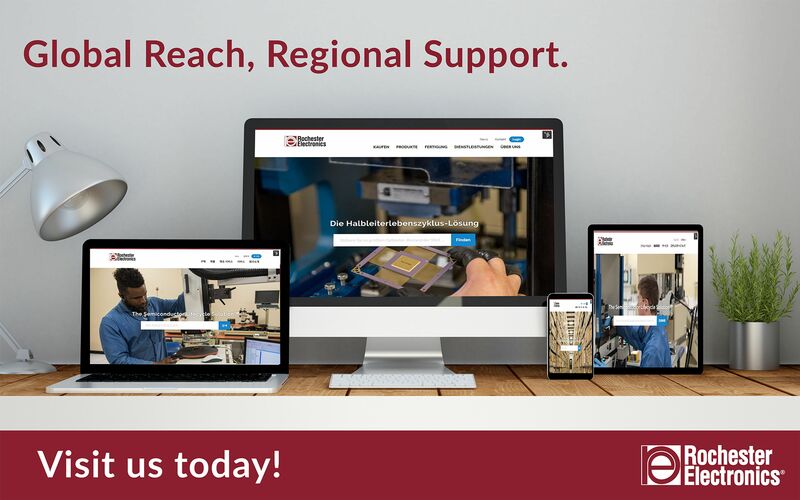 Our regional sites now have expanded menu options, simplified navigation and a responsive design layout supporting all devices; mobile and desktop. In addition, each site offers a regularly updated news feed as well as our online inventory allowing you, our customer, the ability to search the world’s largest source of semiconductor components wherever you are. Through optimizing our regional websites, we hope to foster enhanced global communication providing our customers around the globe with up-to-date, relevant information via news posts, videos, company announcements and product updates while creating a secure web experience.